Sarah E. Pawlicki has a broad range of employment experience, partnering with human resource professionals to make workplaces better (and legally compliant). Her experience includes collective bargaining and grievance issues, employment law compliance and workers' compensation law. Additionally she is a Society for Human Resource Management Senior Certified Professional (SHRM-SCP). Ms. Pawlicki is a member of Eastman & Smith and chairs the Firm's women's initiative, The Women of Eastman & Smith Ltd. (WES). Counseling employers in all areas of employment law including Family and Medical Leave Act (FMLA), Americans with Disabilities Act (ADA), Title VII and the Age Discrimination in Employment Act (ADEA). Assisting employers in collective bargaining and grievance issues, including representation in arbitration and proceedings before the National Labor Relations Board (NLRB). Representing employers in employment discrimination and workers' compensation matters before administrative agencies, including the OCRC, EEOC and the Industrial Commission. Representing employers in employment litigation in federal and Ohio courts. Advising public employers and community schools on employment issues particular to those entities and representing public employers before the State Employment Relations Board (SERB). Ms. Pawlicki is a member of the Toledo Bar Association, where she sits on the Labor & Employment and Bar Admissions committees. Additionally Ms. Pawlicki is on the Northwest Ohio Human Resource Association Board and was its president in 2016. Ms. Pawlicki is also a member of the board of directors for Directions Credit Union. Directions Credit Union is an Ohio state-chartered credit union with over $800,000,000 in assets. In 2012 Ms. Pawlicki was honored with a 20 Under 40 award. This program recognizes persons under the age of 40 who have "distinguished themselves in their careers and/or as a volunteer in the community." 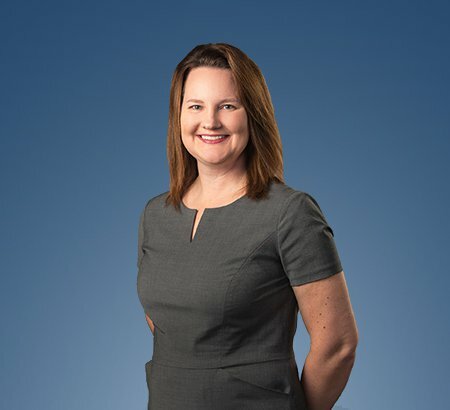 The Toledo Business Journal named her as one of Toledo's Who's Who in Area Law and Super Lawyer's magazine listed her as a Rising Star in 2013 and 2014.